Hey ho wannabe writers (and those who’d rather not be) out there! Welcome back to some seriously good advice on how to write well – featuring, as usual, some literary heavyweights as well as a healthy dose of light-hearted yoga wisdom and a snottily empowering punk rock DIY attitude on the side. acute (as opposed to „a cute“ – see how correct spelling and punctuation can alter stuff somewhat dramatically? ALWAYS invest in a proofreader if you’re not 100% firm here yourself!) overwhelm with just how on earth you can sort or structure the one idea you’ve picked – that your inner impostor hasn’t vetoed – into something legible, let alone action-inspiring. Because, girlfriend (and dear male feminist readers), this is what we’ll be arming ourselves against in this instalment of your new favourite writing guide! So get reading and then: get writing like that F*CKING HEROINE that you truly are, obvs (otherwise you wouldn’t still be reading this, innit?)! And a singer for every song. Please, dahling, take the stern-looking Norsemen by their word! SING YOUR SONG. Second, let’s find out which YOUR song is at all. Of all those chaotic voices in your head, which one wants to be heard the hardest? It is not necessarily the loudest. She can be encountered during a simple ten-minute meditation (I thoroughly, and sadly non-affiliately, recommend the app Headspace if you’re a beginner) and she determines what your next blog post, or inspirational talk, or paper at a meeting should be ABOUT. 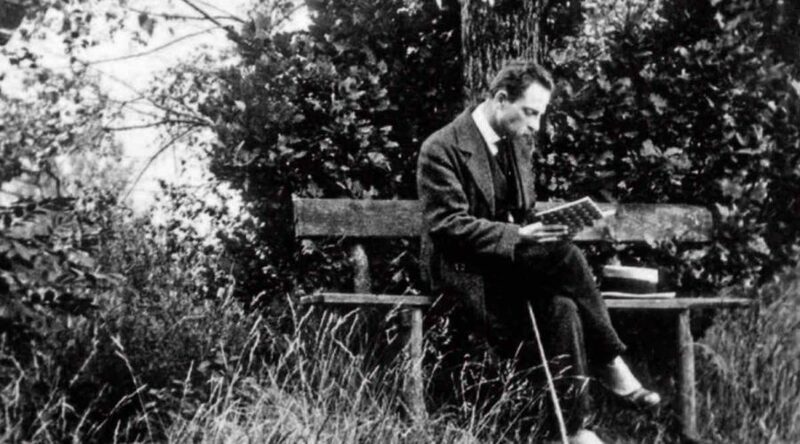 My bookish bit on the side – next to my main man Nietzsche – Rainer Maria Rilke (who followed his mentor Rodin’s advice to WRITE EVERY DAY and to STUDY NATURE and to use SIMPLE WORDS, btw) has some wicked advice, in turn, in his Letters to a Young Poet. This is a lot to take in and just reading it will already start to set some wheels in your subconscious in motion, I absolutely PROMISE. 🙂 For now, I’d like to let you mull this over and will be here again next week to dissect this list and provide actionable examples for each of those ten vital points. Hope you join me then! Your only homework, if you wish to receive any, is this: Listen to Motorpsycho. Meditate for ten minutes. Then write sans censor for another ten. Then re-read Nietzsche’s rules for good style. For she who wants to write well needs to read. A LOT. Got it? Any questions or comments: go; I would genuinely love to hear from you (kindred spirits and all that). Meanwhile, I’ll heed Nietzsche’s advice myself and let you, dear reader, pronounce the ultimate quintessence of my wisdom. Namasté and rock on, beautiful!